There is only one image that immediate comes to mind when one talks about the professional chef: the iconic chef uniforms with their pristine white double-breasted jackets and chef hats, paired with trousers. This look has long been attached to the profession, but did you know that this emblematic piece comes with a long, storied history? It all starts with the Assyrians…or does it? Other accounts attribute the first usage of the modern chef’s hat to a later time, around 7th century AD during the Byzantine Empire’s invasion of Greece. During this time, chefs were forced to seek shelter in monasteries. The chefs disguised themselves as priests, donning their robes and veiled top hats called skoufos. When the persecutions were over, the chefs were said to have retained the use of the robes and the hats sans the veil. The tradition continued as the Roman Empire expanded, taking chefs along with them in their exploits, inadvertently spreading the use of the chef hats throughout Europe. Between this time and 1822, nothing was heard or written about the toque except for a questionable account that was said to have taken place in Henry VIII’s court. The infamous king, with his fondness for beheadings, was said to have executed his head chef after finding a loose strand of hair in his soup. Legend has it that from then on, kitchen employees were made to wear a hat to keep their hair in place. This makes this story one of the first, albeit debatable, to talk about the role of hygiene in the development of modern chef apparel. Throughout this period, chefs used various types of hats and were said to have worn gray as their unofficial chef uniform to distinguish them from the black-clad monks who had adopted them many centuries past. It was not until the early decades of the 1800s that French chef Antonin Careme came up with radical suggestions to change and standardize the look of the professional chef uniforms through the publication of a manifesto entitled Le Maitre d’Hotel Francais (1822). In it, Careme indicated the need to give up the various and mostly floppy hats that chefs sported during that era in favor of one that has height (at least eight inches) and stability. He proceeded to rationalize that the height of the hat should indicate the chef’s rank and skillfulness; that the taller the hat, the more highly valuable and high-ranking the chef is. Careme also was the first to suggest the use of white across professional kitchens to denote, as was the belief of the epoch, perfection and cleanliness, although his design did not take off until much, much later. Chef Careme is also credited with the creation of the modern double-breasted jacket we know today, as the design appeared on the cover of his manifesto. The cover illustration depicted two chefs, side by side, wearing what we know today as the standard combination of toque, trousers, apron, and the iconic double-breasted jacket. Its design was created for functionality, allowing the chefs to easily cover up unfortunate stains. Much like Careme’s vision of the tall hat, the jacket-and-trousers combo did not fully take off until the latter parts of the century and inspired the many variations and combinations that we now know today. 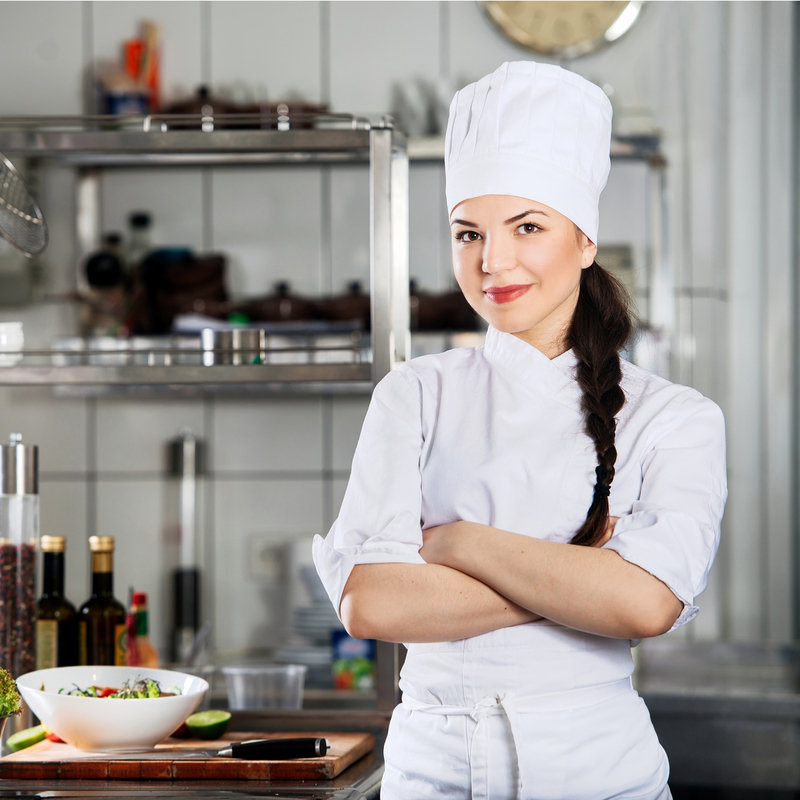 Keep the dignity of chef uniforms alive by making the right choices in chef uniforms with the help of Dust-Tex! Dust-Tex offers an array of top-quality chef apparel. Our professional chef uniforms come in a quality that can not only best represent your brand but dignify this honorable profession. Call Dust-Tex today at 808-842-4811 to get started!